Advanced Circuits is proud to announce that our Tempe division successfully completed Isola’s Certification Program. 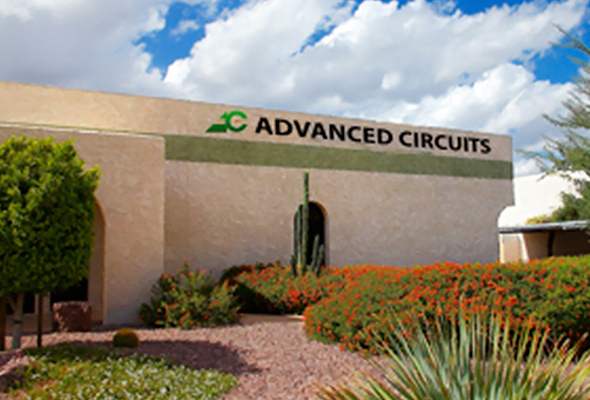 Our Tempe division, which holds multiple certifications for the manufacturing of printed circuit boards, was recently audited by Isola to ensure that it met standards set forth by the IPC-A-600 Acceptability of Printed Boards and the IPC-6012 Qualification and Performance Specification for Rigid Printed Boards. By receiving Isola certification, ACI-Tempe has met demanding requirements for fabrication and is now qualified to build RF/microwave products using I-Tera MT and Astra MT laminate materials with other Isola materials. Engineers and PCB designers will benefit from reduced lead times and enhanced support throughout the fabrication process. As technology continues to develop your current designs for printed circuit boards will become outdate. It’s not that they won’t work anymore, but you will want to incorporate the latest materials and processes so you can get more functionality and value from each one of your PCBs. Our free PCB Artist software allows you to work with the largest component library in the industry and seamlessly integrates with our system so your order goes smoothly. Based on your requirements, work with one of our experts to get your circuit boards in a short time frame with our quick turn option. You can also use our free DFM file check system to identify any manufacturability issues before placing your order so you can rework your design and avoid delays. Get in touch with one of our representatives today to learn more. This entry was posted in Expanded Capabilities, Manufacturing, Printed Circuit Boards and tagged isola, PCB, Printed Circuit Boards. Bookmark the permalink.